The title of this article may seem like a contradiction. Aren’t chores and domestic cleaning one and the same? Isn’t keeping the house clean by vacuuming, dusting, mopping and washing what constitutes domestic cleaning? And aren’t those things all chores? Well, yes. And no. Those things are all certainly chores that must be done on a daily, weekly or monthly basis. And they are all part of domestic cleaning. But that doesn’t mean that those chores have to be such, you know, chores. You can make them much less unpleasant with just one quick phone call. That’s right. When you ring 020 3397 3176 to set up London domestic cleaning with London Cleaner your chores immediately become our domestic cleaning job and you’ve managed to get them done without doing the work yourself. Imagine coming home at the end of a long, difficult week of work to find that someone else has cleaned the house for you. If your partner is a particularly compassionate person, he or she might do this once in a while to help you out. But if dividing up responsibility in the home for the kids, the cooking, the shopping and the cleaning is not such an easy task for you, then you probably end up doing more than you’d like and more than you have time for. That’s where we come in. 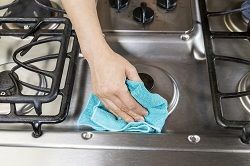 While we can’t have a homecooked meal on the table when you come home from work (that’s what loving partners are for), we can guarantee a completely spotless and clean home. When you hire us as your London domestic cleaners we can come for a couple of hours in the morning, afternoon, evening or even on the weekends and get your home back to where you think it should be. That could mean doing as many of your domestic chores as possible (the ones that involve cleaning) and leaving you with a spotless flat or house. We can take care of carpet cleaning, rug cleaning, upholstery and sofa cleaning, deep cleaning or curtain cleaning. And we can do it week in, week out for a great low price, meaning you will never have to feel the anxiety of coming home to a dirty home again. We can also take care of the domestic cleaning when it comes to certain one off cleaning situations, such as after the builders have finished remodeling the bathroom. You’ll forget they were ever even there after you’ve had us in to clean up after them. Have us do a deep cleaning after your next holiday party and you can relax and enjoy yourself during the party instead of noticing every crumb that falls on the floor. Or if you are nearing the end of your tenancy and need an end of tenancy cleaning service, we are the ones to call. So you see by handing off the domestic cleaning to someone else – to us, specifically – you can literally erase a bunch of chores off your weekly to-do list. You’ll have that much more free time on your hands and you’ll be free of the responsibility that comes with keeping your home clean. You won’t have to get down on all fours to scrub the floors and you won’t have to spend hours dusting the wardrobes or washing the tiles – all of that will be a thing of your past. To find out just how affordable our London domestic cleaning services are, simply give us a call at 020 3397 3176. Let London Cleaner be your domestic cleaner in London. Description: A wide range of London cleaning services including commercial cleaning, domestic cleaning, upholstery and carpet cleaning, and basically any other type of cleaning. Copyright © 2008 - 2015 London Cleaner. All Rights Reserved.